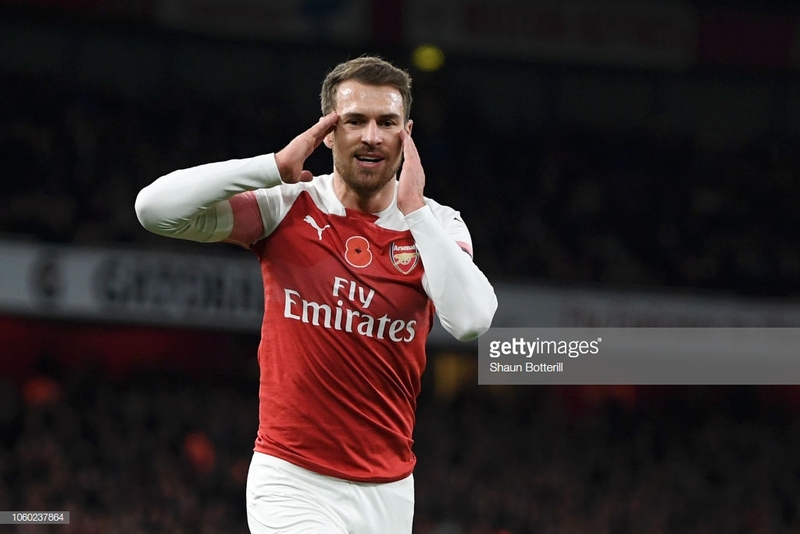 Opinion: Will Arsenal miss Aaron Ramsey? Arsenal's longest serving player Aaron Ramsey has his contract set to expire in June 2019, how big a hole will he leave if he truly is to depart from the north London club? When Arsene Wenger offered Mesut Ozil a new deal running until 2021 that would amount to the German playmaker earning more than thrice Aaron Ramsey's wage, the French manager condemned the club into a contract nightmare with the 27-year-old Welshman. Arsenal's current longest-serving player joined on July 1 2008 - and is set to be leaving the club 11 years later to the day. The Sun reports that the Gunners legend is set to be immortalised in the refreshed billboard of ex-greats outside the Emirates Stadium with the creative midfielder having made 348 appearances for the club to date. To say that this genius will be missed is a huge understatement. It is subject to opinion that Ramsey was offered a £250,000 a week contract but Emery pulled the plug at the last minute. This is more than double of his £110,000 a week contract. Arsenal fans across the country believe that Ramsey feels that Ozil isn't three times the player he is, so the huge difference in earnings is unfair on the Welshman. Arsenal are a club that has been blessed with creative midfielders through the central of the park over the past couple of decades, so you would be forgiven for being under the impression that the loss of Ramsey couldn't hurt the club a great deal. This idea, however, couldn't be further from the truth. The cultured midfielder had been quintessential to Arsenal's set up for a decade under the reign of Wenger but now perhaps a little underused by Emery. He has been one of the best players at the club despite the big money signings over the past three or four seasons. A technically sound player and one of the best midfielders in the Premier League when he is on his day, Ramsey is a target of many clubs around Europe, with Bayern Munich and Paris Saint-Germain just two of the favourites to land his signature. Unfortunately, the current midfield duo of Lucas Torreira and Granit Xhaka are far from creative and as a result of this Arsenal sometimes lack the edge to break down a solid back line. With Ramsey in the line up, Arsenal seem far more capable of putting goals past any opposition - the Welsh magician will be missed by all Arsenal fans and more importantly, his teammates. Emery has already shown that he is capable of filling the gaps in a team effectively with the signings of Bernd Leno and Greek central defender Sokratis, however, it is yet to be seen whether the club's Spanish manager is capable of dealing with a player with poor morale. Wenger was stuck with difficult situations where high-performing players believed that they were bigger than the club, Samir Nasri and Robin van Persie are only two examples, and the legendary manager sold these two players to ensure that Arsenal benefited in a sense. As it stands, Arsenal are set to lose Ramsey on a free at the end of the season due to his contract expiring, which would be a disaster for Emery as he is working under a limited budget as it is, and losing a star player on a free would limit Emery's ability of replacing the sizeable hole he will leave on the team. It is undoubted that losing the 27-year-old on a free would be massively regrettable and it is down to Emery now to either try and make some money for the player or to convince him to stay. The worst option would be to lose him on a free, especially to a Premier League rival.